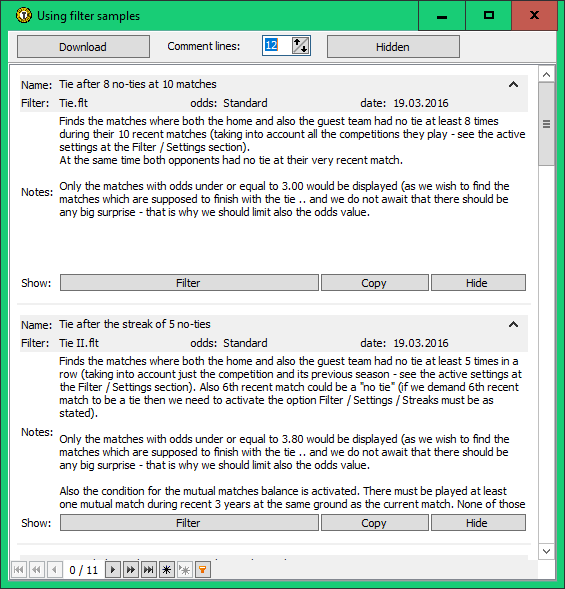 The sample filters are prepared here including a short comment. It is possible to work with these filters directly in Trefík. The button Filter opens the Filter definition window. Using the button COPY it is possible to create an exact copy of the sample filter and modify it according to the user needs.